Looks like online grocery store as a segment is attracting lot of VC money. Close to the heels of Ekstop raising funds, another online grocer, LocalBanya has also announced Series A funding. Interestingly both these startups are Mumbai based. 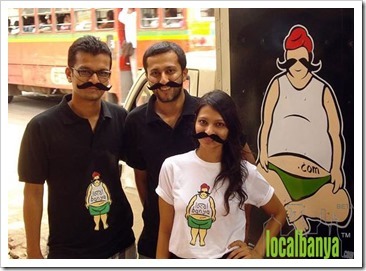 LocalBanya.com has raised undisclosed amount of Series A funding from Karmvir Avant Group. The funds will be utilized for general expansion and increasing customer base. LocalBanya currently operates in Mumbai and will launching in Navi Mumbai and Thane by mid-January. They also plan to extend to 2 more cities by mid-2014. LocalBanya currently does around 400 deliveries every day with a team of over 100 employees. Not only households but restaurants, corporates, cooperative societies and any other institutions that require groceries in bulk have seen the advantage with this service. This is reflected in 29% of the business coming from these channels.